This sandbag carrier tote allows you to carry sandbags that don't have handles. 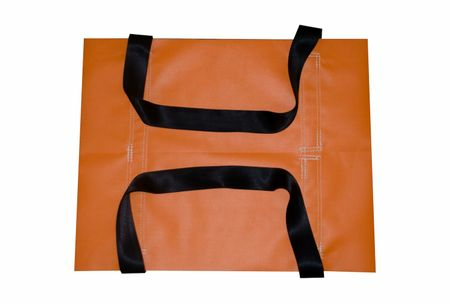 Simply lay the sandbag in this tote, grab the handles, and easily carry it where you need to go. You can stack as many as 4 sandbags on this tote and carry them all with 2 people.